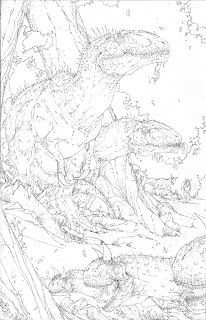 I then recieved new comments that I was wrong and that another new paper showing that Megaraptor was related to a new spinosaur from Austrailia would prove it. I read that paper as well.... And to be honest. I have no fricken idea which group this thing belongs to. So until more fossils are found it's an idon'tknowwhatasaurus. Megaraptor is a very complex enigma, because is both fragmentary and apparently "chimaeric". You are very right in avoiding a closer phyletic position of that animal before new data are known. 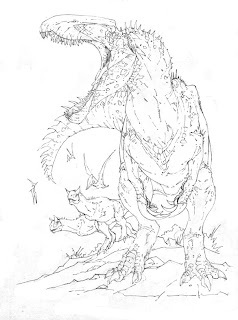 My large-scale analysis of theropods places it in Spinosauroidea, while the carcharodontosauris hypothesis, although plausible, results less robust. But, I too would like to know new data before saying: "Megaraptor is a XXXXX!" Just based off the arm I would tend torward spinosaurs. But waiting is the best idea right now.